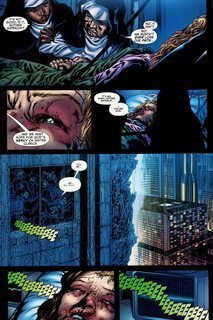 Final Crisis – Revelations #1 – 5 (2008) : Greg Rucka (52, Whiteout, THE QUESTION: THE FIVE BOOKS OF BLOOD) and rising superstar Philip Tan unleash the wrath of God in this FINAL CRISIS tie-in! 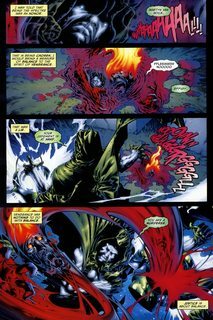 With the end of creation nigh, Crispus Allen must embrace his role as The Spectre by exacting God’s vengeance on some of the DC Universe’s most vile sinners. 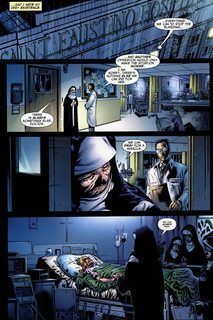 But even as Allen struggles with his duty, a new threat is arising – one that only his former partner, Renee Montoya, a.k.a. The Question, can help him fight!